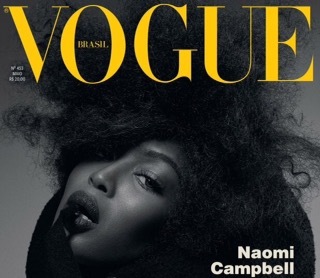 Vogue Brazil enlists supermodel Naomi Campbell to pose for multi-covers of their May 2016 edition. 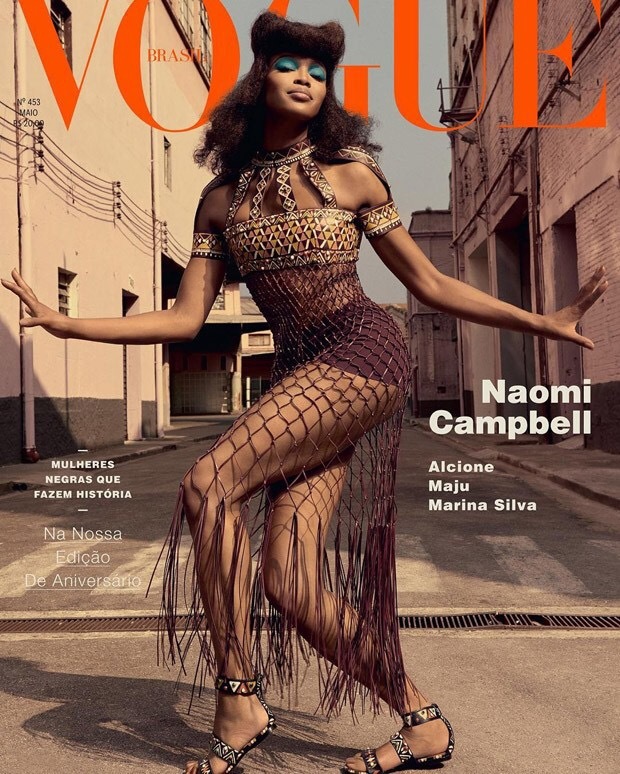 The ‘Empire’ star nailed everything about the cover from the hair to her fringe dress and studded sandals. 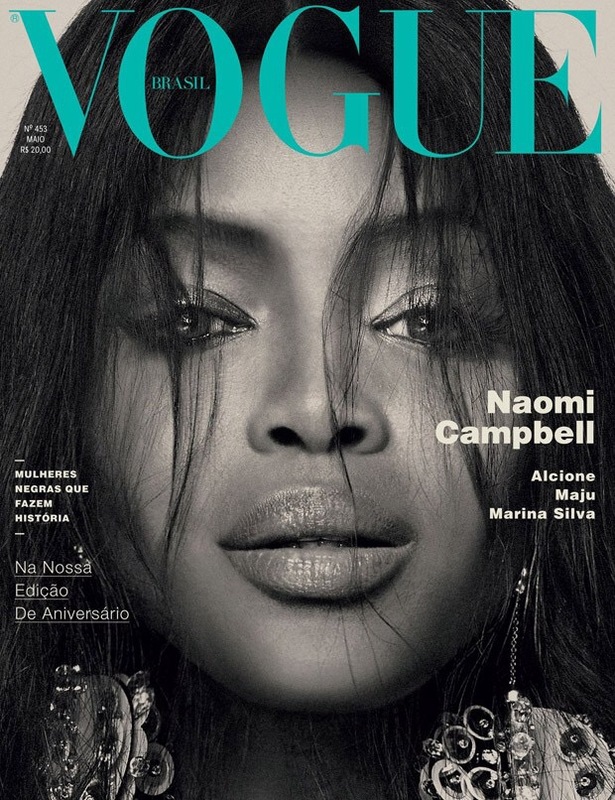 Naomi on the second and third covers of the magazine struck sultry poses in the black and white shots which were taken by Gui Paganini, Bob Wolfenson, and Zee Nunes. 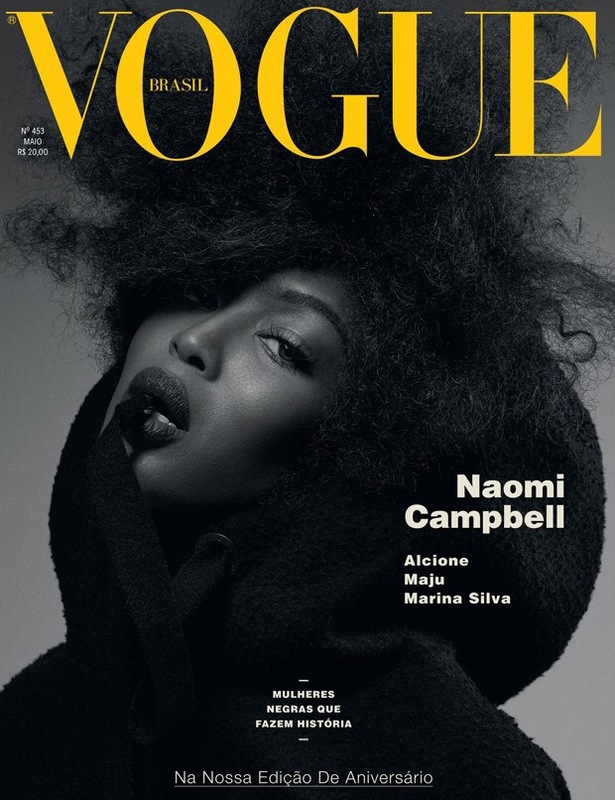 In charge of styling were Yasmin Esterea, Daniel Ueda, and Pedro Sales. Makeup is work of Renee Garnes, with hair styling by Daniel Hernandez.